founded in 1938, is now a supplier and producer of office furniture and exclusive furniture for the living area. Over the decades, 30 products from Knoll have been included in the design collection of the Museum of Modern Art, New York. In 1938 Hans Knoll founded a small company in New York. With this he created the cornerstone for an icon among the furniture manufacturers, which still bears his name today. Knoll International was born. Hans Knoll was driven by his legacy, his father and uncle were recognized furniture manufacturers. The company has grown far beyond the goal that its founder, Knoll International, had put into the cot. Modern architects need modern furniture, that was the basic idea that Hans Knoll set the standard for Knoll International. Today more than ever, Knoll International stands for modern, future-oriented and timeless furniture design. From the outset, the ideas and designs of well-known designer patrons stood for the Knoll International furniture, including Marcel Breuer, Walter Gropius and Mies van der Rohe. However, for the real breakthrough at Knoll International, there was a female component. It was only when Florence Schust joined the company, finally conquering the heart of Hans Knoll, that the creativity and creativity of the two created what today is Knoll International. Finally, it was Florence who brought the idea into play that the Bauhaus concept should be applied to the furniture produced. Thus modernity, industrial design and functionality found their way into Knoll International's furniture collection. The core element of furniture production is still the designers behind it, and when one could read in 1947 in the New York Times that Knoll International represented "half a dozen of the most talented designers of this country and Europe", this is still true today. In doing so, the artists should not remain the unknown third party behind the name Knoll International. For Knoll International, the same is true about the designer, as is the piece of furniture. Each designer is not only perpetuated on the furniture, but also receives royalties for every piece of furniture sold. In addition to quality furniture of all kinds, Knoll International also offers a range of selected fabrics of convincing designs. This idea has arisen from a lack of substances that meet the requirements of Knoll International. Knoll International remains faithful to its motto of Florence Knoll: "Good design is good business". In this sense, Knoll International still produces high-quality design furniture with noble look, appealing design and high functionality. Seat cushion for Knoll Bertoia chair or Bertoia bar chair in fabric tonus. 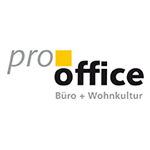 Pro office online shop for office and design furniture. The Diamond Chair by Knoll International is part of the famous wire mesh chair series of metal artist Harry Bertoia, designed exclusively for Knoll. The Bertoia chair with cushion by Knoll International is the famous wire mesh chair series of metal artist Harry Bertoia, which he designed exclusively for Knoll. Barcelona chair manufactured by Knoll International according to the original design by Ludwig Mies van der Rohe. Order now online. The Bertoia chair without cushion by Knoll International is the famous wire mesh chair series of metal artist Harry Bertoia, which he designed exclusively for Knoll. Wassily Chair by Knoll International according to the original design by Marcel Breuer. Saarinen table, a design classic by Eero Saarinen. Knoll International produces this classic as dining table, coffee table or side table. Laccio 2 coffee table - sidetable by Knoll International, designed by Marcel Breuer. A Bauhaus classic.